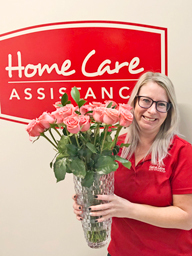 Kelli joined the Home Care Assistance team in October of 2017. She is a Health Care Aid with over 20 years of experience in a variety of settings. Kelli is very committed to her 96 year old client, always arriving early and willing to alter her schedule to accommodate her client or other caregivers whenever necessary. Her time with her client is spent preparing healthy meals, exercising, assisting with her clients social plans. 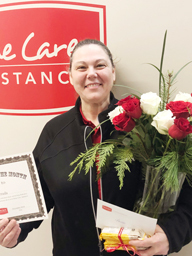 Erin joined the Home Care Assistance team in October and by January had become our Caregiver of the Month, a title she could easily be given each and every month! 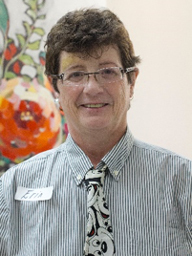 Erin is thoughtful, kind, compassionate, extremely perceptive and responsive to the changing needs and conditions of the seniors she works with. While Erin is an experienced caregiver, many of the attributes that make her amazing are those that simply cannot be taught. Erin is always willing to go above and beyond the call of duty, willing to do whatever it takes to make sure that those seniors who she is caring for are well taken care of. It is caregivers like Erin who really fulfill our motto: “Changing the way the world Ages”. Thanks Erin! 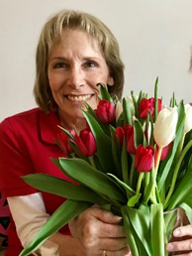 Although her career ambitions did not initially lead her to caregiving, after finding herself in the position of being a family caregiver, Lucy realized that this was the career she was destined for. Lucy’s kind heart and gentle manner leads her to quickly connect with the seniors she works with. She is always willing to go out of her way to make sure that her clients needs are met. Lucy was our Caregiver of the month in February of 2018. Congratulations on this honour, Lucy! 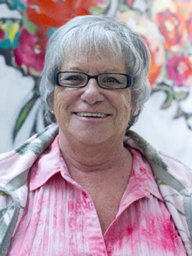 Syl has made a career of being a caregiver, working for many years as a Health Care Aide, including at St Boniface Hospital. 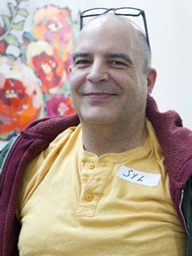 After retirement, Syl decided that he was not ready to leave caregiver behind. He is dedicated to the senior clients he visits and loves being a part of helping them stay happy and healthy at home! Congratulations to Syl on being the Caregiver of the Month for April! Gail’s personal life was deeply impacted by Alzheimer’s disease, leading her unexpectedly to the caregiver life. After time spent as a family caregiver, Gail realized that caregiving was to be her life’s work. 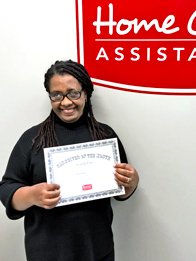 She joined the Home Care Assistance team in February and instantly bonded with her client, helping him to achieve a higher quality of life with healthy eating, exercise, many outings and most importantly, her kindness and companionship. Gail’s calm, easygoing nature makes her a natural fit to assist those affected by Alzheimer’s disease. 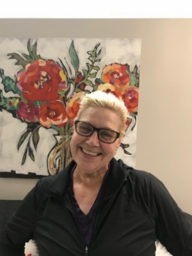 Gail received the much deserved honour of Caregiver of the Month in May of 2018. Carol is a retired LPN with over 40 years of nursing experience. She worked for over 20 of those years as a unit nurse at a personal care home in Winnipeg. After retirement, Carol was looking for a rewarding position in which she could help improve the quality of the lives of seniors in our community. Carol assists her 96-year-old client with groceries, the preparation of healthy meals, organizing her appointments and she accompanies her to her exercise program. Carol’s nursing experience has also made her an invaluable member of our palliative care team. Congratulations to Vina, our Caregiver of the Month for July! 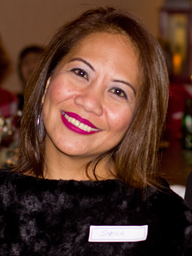 Vina spent many years in the restaurant business before becoming a family caregiver. It was then that she realized that her true calling was in caregiving. Vina is so friendly and bubbly that she puts the seniors she works with instantly at ease. Her kindness, compassion, and willingness to go above and beyond makes her an invaluable asset to the Home Care Assistance team. Thank you for all you do, Vina! Talita originally joined our team to be a companion for a senior who speaks only Portuguese. Her kind heart and love for her role as a caregiver has made her an invaluable member of our team. Each and every senior who Talita visits absolutely love spending time with her and we always know that clients are in good hands when Talita is around. Karie has almost twenty years of experience working in a long-term care setting. 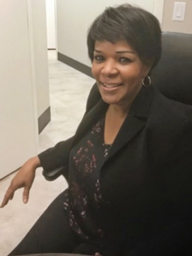 She loves working with seniors and especially the personal one-on-one time being a Home Care Assistance caregiver has allowed her to experience, which is not always possible in long-term care settings. Karie’s extensive experience combined with her cheerful personality bring a smile to the faces of all the seniors she works with. Paula’s kind heart has led her to a life of caregiving in a variety of settings. We are so fortunate to have such a generous and patient caregiver on our team. Paula can sit and listen to our seniors for hours. She is also an enthusiastic cook and has a knack for encouraging seniors to get out for some fresh air and exercise. 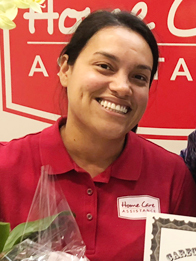 She is always happy to go above and beyond to make sure that each of her seniors have everything they need and communicates well with the rest of our caregiving team. Sheila has been an invaluable asset to our caregiving team. She has extensive experience and has worked with our palliative care team as well as with many seniors living with Alzheimer’s and other dementias. Her energy and enthusiasm are infectious, she brings a smile to all those around her. If you can’t find Sheila assisting our seniors, you are sure to find her teaching a Zumba class. Congratulations to Suzana, our January Caregiver of the Month. Suzana is kind, joyful and dedicated to our clients. She always has our client’s best interests in mind and prioritizes their needs each and every day. Suzana has a contagious smile and a heart of gold. 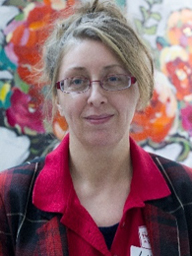 We are honoured to have Suzana on our team.